If you are serious about adopting one of our pets, we can make arrangements for you to meet to determine if this pet is the right one for both you and your household, and to determine that you are the best home for this pet. 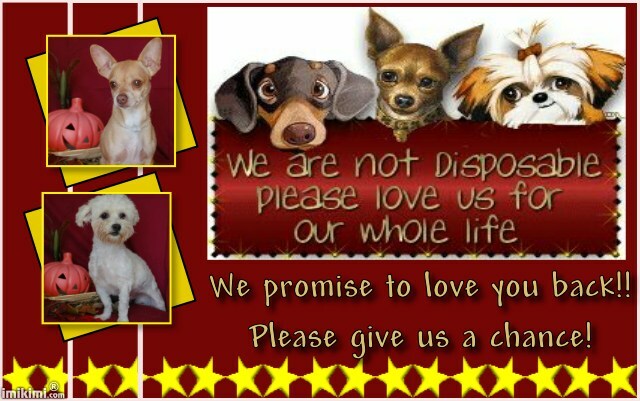 Our intent is to place pets in their “Forever Homes” so we are careful in screening potential adoptees. We will not consider you for adoption unless you have completed an application. We also do home visits and/or vet checks. If you are interested, please complete and submit our online Adoption Application. Also, when you submit the Adoption Application, a copy of our Adoption Contract that you will be required to sign when the adoption takes place will pop up. Please read it carefully. It is a binding, legal agreement. All pets available for adoption have been spayed/neutered, tested for heartworm, fully vaccinated, dewormed and microchipped. Adoption fees help offset the cost of evaluation, housing, feeding and medical care for the animals we shelter each year. Because we are a nonprofit, donations subsidize the gap between the cost for care and the adoption fee. It is through the generosity of our donors that we have the resources to help so many animals and hold them until we can find them homes. Many of our older rescues will spend the rest of their lives here at our rescue. Like many Humane Societies across the country, we use variable adoption pricing. We can help more animals in need by pricing pets in high demand at a higher rate, so the money raised by their adoption helps the other animals in our care that require extensive medical care or need more time to find a home. We often reduce the adoption fees on these harder-to-place pets, to help them find homes. Variable adoption fees are listed on the pet’s bio on our website. The fee for adoption is $75 and up for dogs and $65 for cats. Unfortunately, we cannot accept credit/debit cards.Please be patient! It takes time to review and verify the many applications we receive. We want to select the very best home for our pets. If a pet is marked PENDING, this means the final applicants have been chosen and contacted. If you have not heard from the pet’s fostermom, you are not being considered. Please keep watching for an opportunity to adopt another great pet. By adopting a pet you are making a commitment to provide love, care and medical treatment for the life of the pet. It is a serious decision but one that will bring you unlimited joy and rewards!